TO MAINTAIN RIGOROUS STANDARDS ACROSS OUR OPERATIONS – FROM PRODUCT CONCEPTION TO FINAL DELIVERY TO CUSTOMERS." CHAIRMAN AND CEO | J. C. PENNEY COMPANY, INC.
JCPenney is an American retailer with a rich legacy rooted in the Golden Rule – the idea of treating others the way we would like to be treated. We’ve operated in this spirit since our founding in Kemmerer, Wyoming, 115 years ago. And while we apply this principle to every customer interaction in stores and online at jcpenney.com, we employ a similar ideology to how we treat the planet and our communities we call home. Throughout this 2017 corporate social responsibility report, we highlight heartwarming stories, strategic partnerships and environmental progress made during 2015 and 2016. 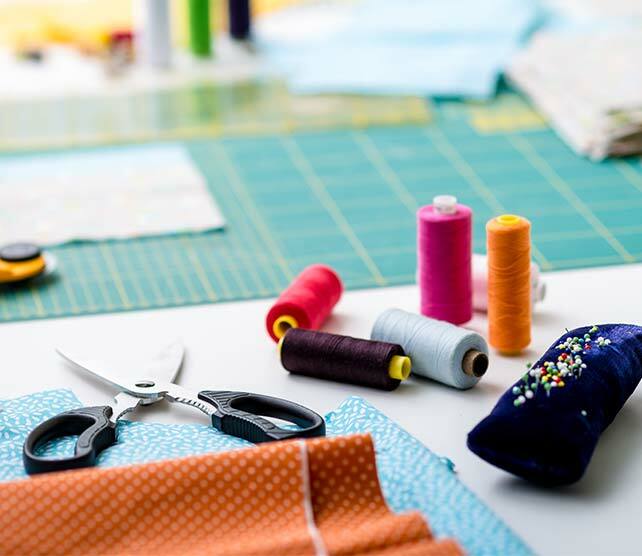 As one of the largest purchasers of clothing, shoes, accessories and household items sold in the United States and Puerto Rico, we have an obligation to maintain rigorous standards across our operations – from product conception to final delivery to customers. Whether forging and sustaining strong relationships with suppliers, creating a more efficient supply chain, promoting conservation and sustainability across our operations, or giving back to the communities where we live and work, JCPenney is committed to our people, our communities, our products and our planet. We could not achieve what we do without the support of over 100,000 associates around the world who focus on making JCPenney a brand trusted by millions of American families. As we work together to make tomorrow better than where we are today, you can be assured by our dedication to create a more sustainable future for generations to come. As of year-end fiscal 2016, JCPenney served customers at approximately 1,000 stores across the United States and Puerto Rico and online at jcpenney.com. Our operations are supported by a variety of U.S. and internationally-based support facilities. 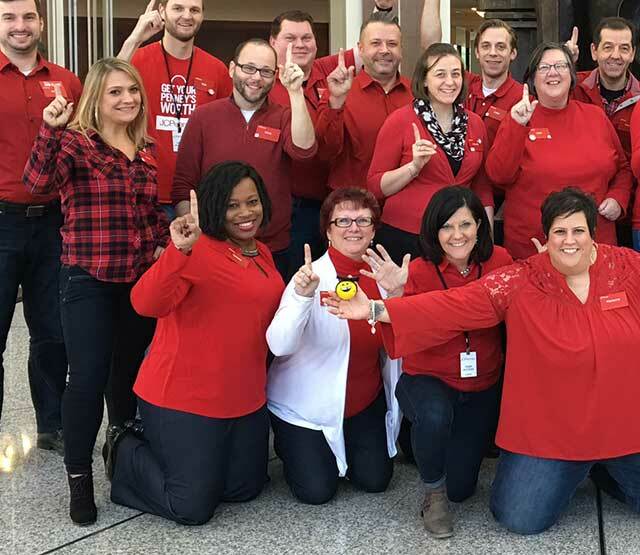 At JCPenney, our people are the foundation of our Company, and that’s why we foster an inspiring Warrior spirit philosophy throughout our operations. The Warrior movement originated with a small group of associates from across the nation whose task was to grow the Company’s culture from the ground up. Today, years later, what began as a group of 16 has grown to over 100,000 associates around the globe – all going the extra mile to do what’s right for our customers, communities and fellow associates. The JCPenney Warrior culture is fueled by the values of loyalty, passion, courage and service, all of which define who we are and how we treat customers. The Warrior coin has been placed in the hands of extraordinary associates across the Company. Each year, JCPenney executives award commemorative Warrior coins to associates who show exemplary Warrior Spirit through the Company’s values of loyalty, passion, courage and service. But this isn’t just any coin – only those associates who go above and beyond to serve our customers, communities and fellow associates are considered for the honor. Knowledge is power. As simple as that notion is, it’s at the heart of our people strategy. When JCPenney embarked on a journey to turn the Company around, we knew the key to our success would be to engage our management and business leaders by investing in their career development. While resources were limited, we rolled up our sleeves and began to conceive a robust program that provided the necessary skills, knowledge and abilities to grow talent from within and support the needs of an ever-changing retail environment. With these objectives in mind, we developed a curriculum of leadership courses and academies specifically designed for targeted groups, such as general managers and district managers, store supervisors, buyers, as well as trainees and interns. Participants from various JCPenney locations throughout the country spend the week at the Home Office in Plano for an informative and motivating workshop that covers topics such as strategy, consumer analysis, talent development, communication and teamwork. It’s a collaborative learning environment that challenges everyone in the room to speak up, share their ideas and brainstorm on how to solve key business issues facing retail. Since its inception in 2015, we’ve had nearly half of our general manager population attend the GM Academy and we’re planning similar academies tailored for assistant store managers, salon managers, logistics leaders and more. This is in addition to the various learning materials we make available through video broadcasts, virtual training and e-Learning courses. Developing our leaders is not only an investment in their career progression, it positively delivers results, drives accountability for actions and outcomes, and galvanizes a mindset that empowers every JCPenney leader to take initiative and drive change. Across the Company’s global operations, the health and safety of associates is a top priority. This is particularly essential within our supply chain, where we have a variety of measures in place; including awareness programs, safety training and and regular audits; to reduce risk so associates can perform their work effectively. Additionally, we strive to improve our supply chain facilities to provide an efficient and comfortable working environment. Recent facility upgrades include improved lighting projects, conveyance systems, ship sorters and baler enhancements. Through efforts to reduce hazards and enhance workspaces throughout our supply chain, our incident frequency rate is consistently lower than the OSHA private business industry average. At JCPenney, we believe that a commitment to inclusion and diversity is more than a legal or moral responsibility. It’s the foundation of our culture, the spirit that fosters an environment of collaboration and respect, and the driving force that inspires workplace innovation. Key to our success are the contributions and perspectives provided by our Business Resource Teams (BRT). Each team plays a role in advancing the Company’s cultural and social understanding through community engagement and associate events that bring together thought leaders from every walk of life to the forefront of our business. The ABILITIES BRT organized a special sensory-free shopping event in our Dallas store in August 2016 so parents and children with autism could comfortably shop for back-to-school essentials. Before the store opened to the general public, associates modified the store environment to significantly reduce sound and lighting levels. Numerous families appreciated the private opportunity to shop with their kids who have special needs. Our plan is to make these shopping events available in more stores each year, with the hope of making this an annual event in every community we operate. We know that gender and ethnically diverse companies are more likely to outperform their peers. We’re proud that, as of 2016, more than half of our associate population are minorities. This progression is positively represented at all levels within the Company to include our executive team. Our Chairman and Chief Executive Officer Marvin R. Ellison, is one of only five African American CEO’s in the Fortune 500 and was named to Fortune’s “World’s Greatest Leaders in 2016” and recognized as the 2016 “Corporate Executive of the Year” by Black Enterprise. 1Associate counts by year include all part-time, full-time and temporary hire associates as of the end of the calendar year. Fiscal year-end associate counts are reflected in our Company Annual Reports (10K). The counts reported here are slightly higher due to the inclusion of temporary holiday hires still active through the end of the calendar year. We’re also proud that we are a company largely represented by women, which makes sense given that 70% of our loyal shoppers are also women. Consequently, JCPenney ranked number 6 on DiversityInc’s Top 9 Companies for Executive Women, a distinction that was not awarded to any other retailer. The criteria measured the level of fairness companies exhibit in moving women throughout management into senior leadership roles, including 10% highest paid. And while we don’t champion inclusion and diversity for the awards or distinctions, it’s humbling to be recognized for these values. JCPenney has been honored by esteemed organizations such as LATINA Style, the Human Rights Campaign’s Corporate Equality Index and DiversityInc Noteworthy Companies who recognize our commitment in making JCPenney a place where every associate and customer feels valued and appreciated. In 2016, the Company launched its inaugural Emerging Leaders program – a key initiative to develop a pipeline of sharp and diverse talent who bring unique perspectives and ideas that will benefit our customers, associates and the Company. The curriculum and coaching are specifically designed to help African American, Hispanic American and Asian American managers and senior managers maximize their career success through personal and professional development. Each participant is paired with an outside career coach and an internal sponsor who serves as a valuable mentor over the course of the year-long program. It was 45 years ago when JCPenney formalized its supplier diversity initiative and sought to increase opportunities for women and minority business owners who were striving for equal consideration on contract proposals with corporations and government agencies. Over the years, we’ve realized tremendous growth in the purchase of merchandise, goods and services from these suppliers. An example of the successful relationships formed out of our supplier diversity program is Prestige Maintenance USA. This family-owned and operated business provides facility and janitorial maintenance for JCPenney stores and distribution centers located in 17 states. Their team, led by CEO Rachel Sanchez, is dedicated to quality service and excellence and a valuable extension of our stores’ team who often regard Prestige Maintenance employees as honorary members of the JCPenney family. With more than 100,000 associates across the country, we’re able to make a significant impact in the local communities in which we live and work. In 2015 and 2016, associates logged more than 67,700 volunteer hours, donating their time and skills to benefit local non-profit organizations. We also encourage volunteerism during National Volunteer Month in April, which happens to coincide with the Company’s anniversary. It is our tradition to celebrate this special milestone by taking the time to give back to a meaningful cause. In 2015 and 2016, our associates completed more than 800 volunteer projects in support of National Volunteer Month. Associates who volunteer a certain number of hours each quarter can earn a James Cash Penney grant, which provides up to $600 a year to the non-profit of their choice. Since 2015, over 469 associates have designated over $118,800 in grants to their favorite charity. Through our James Cash Penney Community Grant Program, our local store teams can donate up to $500 in merchandise gift cards to benefit a local non-profit organization that can use the gift cards to buy much-needed clothing, shoes and household essentials for underserved families. More than $50,000 in merchandise gift cards have been donated since 2015. Our annual “Change for the Better” giving campaign provides associates the opportunity to make automatic donations to a non-profit of their choice through a payroll deduction. Over the course of 2015 and 2016, JCPenney associates gave more than $3.5 million to 6,200 local non-profits across the country, contributing an average of $4 per paycheck through the annual giving campaign. The Golden Rule Relief Fund (GRRF) provides assistance to those associates experiencing financial hardship caused by unforeseen situations such as natural disasters, house fires or floods or other hardships. When disaster strikes, we want to ensure that our associates get the support they need to care for themselves and their families as they go through the painstaking process of having to repair or rebuild their homes. In 2016, we challenged every associate to make a one-time donation to the GRRF between May 1-July 1, with a goal to reach at least 80 percent participation. JCPenney Chairman and CEO Marvin Ellison promised to personally contribute $100,000 to the fund if the Company reached its participation goal. Thanks to the generosity of our valued associates, we had record-breaking participation of 88 percent and Marvin signed a check for a $100,000 personal contribution. Over $500,000 in funding has been donated to associates in need during 2015 and 2016. Our founder James Cash Penney’s legacy of giving back to the communities in which we live and work is as relevant today as it was 115 years ago when he opened his first store. At JCPenney, we believe in building strong, vibrant communities. We do this by investing our time, money and effort into causes and charities that provide resources for families and through the volunteerism of our passionate and engaged associates across the country. We believe our commitment is worth every penny. The JCPenney Foundation is a 501(c)3 public charity supporting programs dedicated to helping moms by providing underserved kids with clothing needs, opportunities in afterschool programs, and resources that prepare at-risk teens with employment and educational opportunities after high school. Some of our recent grantees include: The Y, Armed Services YMCA, Boys & Girls Clubs of America, After-School All-Stars, 100,000 Opportunities Initiative, and Texas 4-H Youth Foundation. During the 2016 Back-to-School season, we donated $1 for every purchase of Arizona® jeans, up to $250,000, to support The Y. Funds from the promotion were donated to The Y’s academic enrichment program, which aims to close the achievement gap among low-income students by providing access to valuable afterschool and summer learning programs. In celebration of #GivingTuesday, an international day of giving started by the United Nations Foundation, we made a $100,000 donation to The Y and hosted private shopping events throughout the month of December 2016 benefitting The Y. In select cities, Y kids were invited to visit a JCPenney store to shop for gifts for their families, while being treated to a special visit with a hometown celebrity. While obtaining a college education is a key factor in professional and personal success, it is often one of the many obstacles facing underprivileged students as they prepare for the workforce. We do our part to help mentor students who visit our Home Office by giving them valuable tips on professional attire, workplace communications and advice on what it takes to succeed. During summer 2016, we were honored to host a group of students from the Hooks African American Male Initiative, a program dedicated to improving the retention and graduation rates of African American males attending the University of Memphis. Led by the Benjamin L. Hooks Institute for Social Change, the program focuses on enriching each student’s academic, personal and social development. As a proud alumnus and board member of the University of Memphis, Chairman and CEO Marvin Ellison gave these students an experience of a lifetime by giving them a first-hand account of a CEO at work at a Fortune 250 company. The recognition of the men and women who make our freedom possible is a cause close to the hearts and minds of both our associates and our customers. Given all the sacrifices service members make to serve our country, we're doing our part as a leading American retailer to show our support. In 2013, JCPenney proudly pledged a five-year $1 million grant to the George W. Bush Institute’s Military Service Initiative, including its annual Warrior 100k. Servicemen and women wounded in the global war on terror join President George W. Bush for a 100-kilometer mountain bike ride in the Texas hill country. This inspiring weekend of camaraderie and compassion spotlights the effectiveness of sports in helping our veterans mentally recover from their visible and invisible wounds. For the past five years, we’ve been a contributing sponsor of Carry The Load, a non-profit dedicated to honoring and celebrating the sacrifices made by our nation’s heroes – military, law enforcement, fire fighters and first responders. What started as a mission to restore the true meaning of Memorial Day, has evolved to bring awareness, education and healing to those who have made the ultimate sacrifice to keep our country safe. JCPenney associates have volunteered and participated in the Dallas walk every year since inception, donating $100,000 through fundraising and donation support from the Company. In 2015, we partnered with Southern Living and non-profit organization Operation FINALLY HOME on an online video series called “Building Hope.” Operation FINALLY HOME addresses the most pressing need of our returning heroes and their families – a home to call their own. 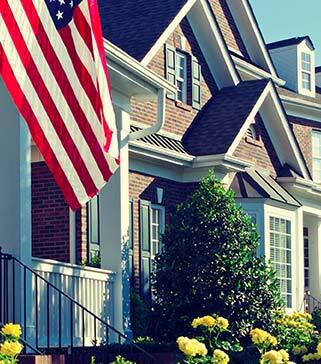 The organization selected five deserving veterans and built them a custom, mortgage-free home, and partnered with JCPenney to provide décor, comfy furnishings and a $2,500 gift card. Thanks to local teams of JCPenney volunteers who worked tirelessly to assemble furniture, install window treatments and set up every room, each family could simply move in and build many happy memories for years to come. As a longstanding supporter of breast cancer research and programs, we’re doing our part to help combat a disease affecting one in eight women in the U.S. During October, we have recognized National Breast Cancer Awareness Month through our support of the American Cancer Society, by encouraging our customers and associates to raise awareness and much-needed funds. Throughout the month of October, our customers can shop a compelling selection of breast cancer awareness apparel and accessories in specially marked areas throughout the store. In 2015 and 2016, The Salon by InStyle locations inside JCPenney hosted a special two-day “Cuts for Hope” promotion, donating $2 for every haircut, up to $50,000. Lead salon stylists and Sephora inside JCPenney consultants also visited Hope Lodges across the country to pamper patients undergoing treatment. The American Cancer Society’s Hope Lodges offer cancer patients and their caregivers a free home away from home when they are receiving medical treatment in another city. In 2016, we hosted a private event for 12 breast cancer survivors at our Glendale, Calif. store. The participants were treated to mini makeovers from The Salon by InStyle and Sephora inside JCPenney associates as part of the program’s focus on applying simple beauty techniques for people with cancer so they can manage appearance-related side effects of cancer treatment. JCPenney supported the American Cancer Society “Making Strides Against Breast Cancer®” walk in Atlanta as a 2016 flagship sponsor with local associates participating in the walk. The walk provides a powerful and inspiring opportunity to honor breast cancer survivors and raise awareness on how to reduce the risk of getting breast cancer. In addition to Atlanta, over 40 JCPenney teams across the country signed up for their local walk, helping to raise over $20,000. For ten consecutive years, the JCPenney Home Office hosts one of the most inspiring Back-to-School fashion shows featuring models from Texas Scottish Rite Hospital for Children. Their “Successful Bridges” program assists teens with spina bifida build self-esteem and independence as they achieve developmental milestones. Each teen gets a chance to rock the runway with a trendy head-to-toe outfit and their hair and make-up styled by associate volunteers from Sephora inside JCPenney and The Salon by InStyle. Along with giving these teens the star treatment, we’ve proudly donated nearly $40,000 to the program over the past decade. We’ve been recognized for the past 20 years by the Dallas-Fort Worth Salvation Army as one of their top corporate sponsors for their annual Angel Tree program. In true warrior spirit, our Home Office associates adopted and shopped for more than 3,000 angels in 2015-16, providing thousands of gifts to fulfill the Christmas wishes of local children and seniors in need. Additionally, over 200 associates volunteer at the local Salvation Army center each year to help sort and distribute gifts to families. The J. C. Penney Company Fund provides grants to relief organizations in response to disasters both nationally and internationally. 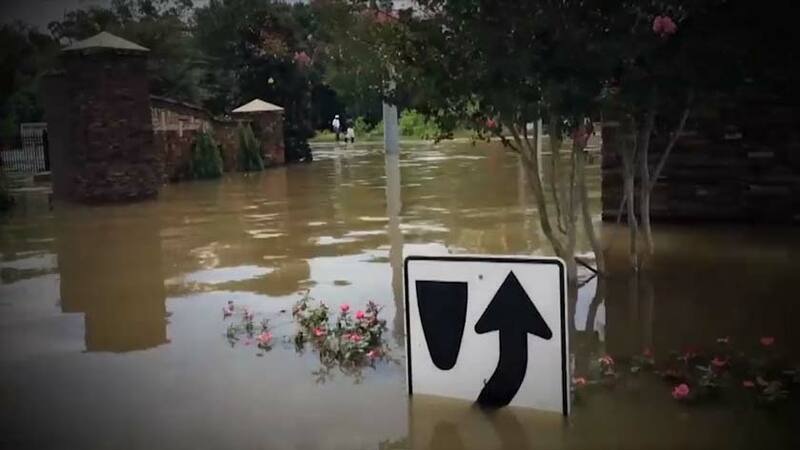 In 2015, we provided over $45,000 to the American Red Cross to assist their efforts following severe storms and flooding in South Carolina and central Texas, as well as tornadoes in North Texas. On behalf of our international business office, JCPenney made a $5,000 donation to the humanitarian organization World Vision International to support those impacted by the floods in South India. In total, we donated nearly $100,000 in 2016 to support organizations overseeing relief efforts following Hurricane Matthew, the Tennessee wildfires, Houston, Louisiana and central Maryland floods and Dallas police shootings. Additionally, JCPenney donated $5,000 in water to our store in Flint, Mich. for associate volunteers to distribute during the city’s water crisis. We are proud to partner with one of the largest and most active volunteer centers in the country, VolunteerNow™, to provide more than $3.2 million in donated products annually to help serve hundreds of nonprofits in North Texas. Through this valuable organization, we ensure our merchandise samples are put to good use once their business purpose has been met by contributing to the organization’s donated goods discount depot. We want every customer to feel good about shopping at JCPenney. Not just because we offer merchandise that’s stylish, affordable and high quality, but also because they were made by suppliers and manufacturers who share our commitment to social and environmental values. These values are outlined in the Company’s Supplier Principles, which suppliers are required to uphold and reaffirm annually as a condition of doing business with JCPenney. You can access more information related to our paper policy, conflict minerals and Uzbekistan cotton on the Company Info page at jcp.com. J. C. Penney Purchasing Corporation (JCPPC) is an indirect wholly owned subsidiary of J. C. Penney Company, Inc. and is one of the largest importers of textiles and apparel in the United States. Formed nearly 60 years ago, JCPPC is one of the most experienced retail sourcing organizations in the world today. As the sourcing arm for private brands such as St. John’s Bay, Arizona, Stafford and Liz Claiborne, JCPenney purchases merchandise from approximately 2,600 domestic and foreign suppliers, many of whom have done business with us for many years. Our international teams work with an industry-leading third-party auditor that conducts social compliance audits of factories producing private brand merchandise for JCPenney. These audits cover legal compliance with social and environmental laws, health and safety issues, and requirements related to child labor, harassment, excessive overtime, forced labor and more. In fiscal years 2015 and 2016, our third-party provider conducted over 2,000 social audits of facilities producing private brand products for JCPenney. In 2016, we extended this effort to textile mills for the first time and completed over 100 assessments of social and environmental performance to monitor and help improve mill conditions. When a devastating building collapse claimed the lives of 1,134 factory workers and left thousands more injured in 2013, JCPenney joined other retailers and brands to form an alliance dedicated to ensuring that no garment worker in Bangladesh has to risk his or her life to make a living. This mission sparked an initiative to improve factory safety, equip workers with the knowledge and skills to protect themselves, and empower them to demand change. Alliance members work to help factories ensure structural integrity, fire and electrical safety. As an active member, JCPenney strives for complete remediation of any issues at factories producing for JCPenney. You can read more about the progress Alliance is making to develop safe working conditions for men and women in the Bangladesh garment industry by reviewing their comprehensive reports found here. 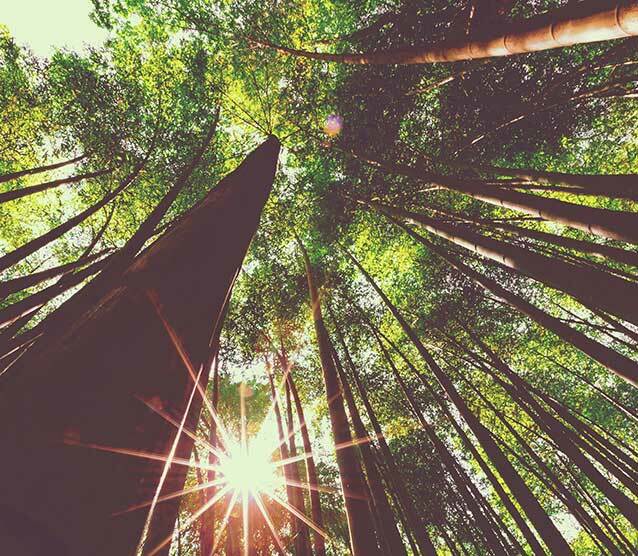 In October 2015, JCPenney joined Clean by Design (CBD), a program managed by the Natural Resources Defense Council in partnership with the Sustainable Apparel Coalition. By working with a number of prominent global apparel retailers and brands, CBD focuses on helping textile mills and dye houses reduce their environmental footprint abroad by implementing simple, low-cost production efficiencies that saves valuable resources, such as water, fuel and electricity. Participants adopt best practices such as capturing heat and recycling water from the final rinse cycles, insulating steam systems and reducing leaks in equipment. These improvements have dramatically reduced the pollution generated by these mills, and resulted in considerable cost savings. JCPenney is part of the apparel, footwear and home textiles industry’s largest and most diverse network of companies and organizations focused on creating transformative change. Our membership in the SAC is driven by a concerted desire to develop a universal approach to measuring sustainability performance, so retailers, like us, can better understand the environmental, social and labor impacts of making and selling their products. Since 2011, JCPenney has re-certified its commitment to an international standard on responsible sourcing for diamonds, gold and platinum metals by meeting the ethical, social and environment standards established by the Responsible Jewellery Council. The certification is awarded following an independent assessment of our supply chain, which is an important assurance for our customers who trust the fine jewelry store at JCPenney for engagement rings, graduation gifts and special keepsakes that last a lifetime. The JCPenney Home Quick-Dri™ towel was the first product in the U.S. to receive the Oeko-Tex™ MADE IN GREEN certification. This prestigious label assures customers that the product has been tested for harmful substances and made in environmentally-friendly facilities that are safe and socially responsible workplaces. These high quality, 100% cotton towels are highly absorbent and designed to dry faster than the average towel to save customers time and money. That’s living green and saving green. Recycled plastic bottles are put to good use when they are turned into products we use and wear every day. Take, for example, our Arizona jeans. In 2016, JCPenney began developing various styles of eco-friendly denim made with 20% percent polyester created from plastic water and soda bottles. Thanks to our friends at Repreve®, everyday products made with sustainable fibers help conserve energy and natural resources without compromising style, comfort and value. Now, that’s a perfect fit. We know there’s nothing more important than preserving the planet and its precious resources for current and future generations. That’s why we place a strong emphasis on reducing carbon emissions, waste and water consumption across all our operations. JCPenney is making consistent progress on multiple goals aimed at reducing our impact on the environment by 2020. In 2015, JCPenney set an aggressive energy and greenhouse gas emissions goal to reduce Scope 1 and Scope 2 GHG1 emissions per sq. ft. 15 percent by 20202. Just two years into our journey, we’ve surpassed our goal by reducing emissions by 19.6 percent, a decrease driven largely by behavior change and a robust Company-wide energy management program. We know GHG emissions are closely related to energy use, so we closely monitor energy consumption across the chain through the utilization of our trusted energy management system, EnergyCenter. The system compiles and displays energy data at the store and Company level, allowing general managers and the Home Office energy team to make informed decisions on energy-saving opportunities. Through the platform, we also share recommended best practices, rank each store’s ENERGY STAR performance score and benchmark JCPenney facilities against similar retail buildings. Nearly 840 of our stores, or roughly 95 percent, utilize an energy management system that allows remote monitoring and adjustment of lighting, heating, and cooling systems. JCPenney continues a long-standing partnership with the U.S. Department of Energy’s ENERGY STAR™ program, having received ENERGY STAR’s Partner of the Year, Sustained Excellence designation for ten consecutive years. Only companies and organizations consistently earning Partner of the Year may be eligible for the sustained excellence designation, and the award is only bestowed upon the Environmental Protection Agency’s discretion. JCPenney proudly displays the ENERGY STAR logo at over 650 ENERGY STAR certified buildings throughout the Company, including stores, one distribution center and its home office in Plano, Texas. To be considered for ENERGY STAR certification, a building must perform within the top 25% for energy efficiency among similar buildings. JCPenney HAS received the ENERGY STAR Partner of the Year award for tEN consecutive years. With stores located in towns big and small, we rely on our contracted transportation operators to ensure our merchandise gets from point A to point B quickly and safely. JCPenney makes every effort to partner with responsible and efficient transportation carriers, and is a member of the EPA’s SmartWay program, a collaboration with the EPA and freight industry that seeks to reduce truck and rail fuel consumption and related emissions. As of 2015, 84% of our truck volume was with carriers who participate in the program. We strive to be as efficient as possible during every step of our supply chain, from planning and scheduling multiple deliveries on a single trip to minimizing empty backhaul returns. To make trips as useful and efficient as possible, once new merchandise is delivered to a store, trucks are immediately re-loaded with returned merchandise, used pallets and a variety of recyclable materials for transport back to our supply chain facilities. By doing so, not only do we reduce additional truck trips, we dramatically decrease our carbon footprint by ensuring there are less empty trucks on the road. In fact, our contracted fleet handled approximately 19,300 backhaul trips in 2015 and 2016 combined. As part of the Company’s plan to reduce its environmental impact, JCPenney is making efforts to significantly reduce waste by recycling 85% of our annual domestic waste by 2020. We take multiple approaches to waste management, including analyzing waste streams, engaging store leadership to promote recycling, creating a culture of recycling awareness, simplifying the recycling process, and requiring recycling or donation to be considered prior to waste disposal. Through our promise to reduce waste, we’ve increased our recycling rate to 80 percent in 2016, up nine percent since 2014. In fact, JCPenney recycled 74,000 tons of waste in 2016 alone. We’ve also decreased our waste to landfill by 5,000 tons from 2014 to 2016. What’s more, in 2015 and 2016, JCPenney recycled approximately 147,000 tons of waste, which equals approximately 80% of total waste from the Company’s operations. In early 2015, we adopted a goal to reduce total water consumption 5% by 2020 (2014 baseline) across our U.S. operations. We’re making strides toward meeting this goal through a combination of engineered solutions, such as high efficiency restroom fixtures and behavior change, such as limiting landscape watering across our organization. As a result of these efforts, we have reduced domestic (in-store) water consumption by 12 percent from 2012 to 2016, and reduced landscape irrigation during the same time period by 66 percent. Our energy and emissions goals, actions and progress have been reported to the CDP (formerly the Carbon Disclosure Project) every year since 2006, with the exception of 2012. CDP is the leading independent global energy and emissions disclosure body. Starting in 2012, our Scope 1 (direct combustion) and Scope 2 (purchased energy) emissions inventory data have been verified by independent auditors based on verification standards accepted by the CDP. In addition, our business travel emissions, (Scope 3, indirect emissions) have been externally disclosed since 2013. 1Scope 1: All direct GHG emissions. Scope 2: Indirect GHG emissions from consumption of purchased electricity, heat or steam. The JCPenney materiality matrix gauges the importance of a variety of topics relative to our business, and displays their significance to both the Company and external stakeholders. The matrix displays 28 topics that are most relevant within the retail sector, as identified by reviewing previous JCPenney sustainability reports, the Retail Industry Leaders Association (RILA) Sustainability Maturity Matrix and industry research. The Company also reviewed and analyzed competitor materiality assessments and lists from sustainability reporting organizations such as GRI or the Sustainability Accounting Standards Board (SASB).